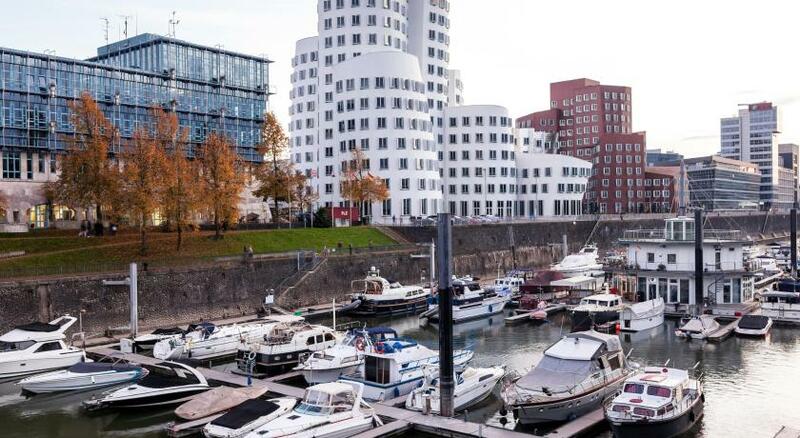 Lock in a great price for Innside by Meliá Düsseldorf Hafen – rated 8.4 by recent guests! 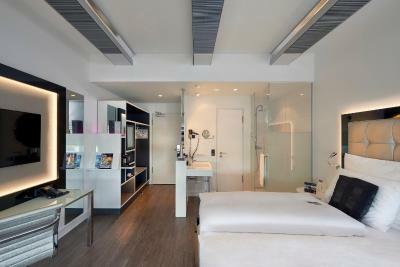 The comfort of the bed plus the freebies inside the refrigerator..
It’s very clean and modern. Not exactly close to the city center but it is convenient to take bus. Staff support, flexiblity with upgrade, flexibility with using a second device on wifi free of charge. We had to leave early in the morning, so we couldn't enjoy the breakfast. Instead we received a lunch-box for to go, with everything inside you need. Thanks for that, it's really great. 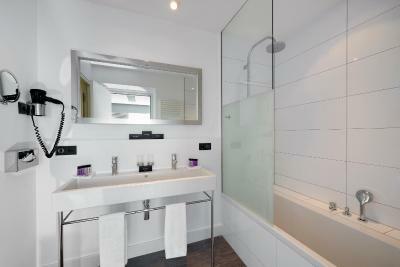 Modern, clean with all amenities. 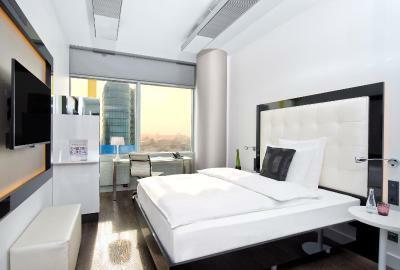 Free minibar (first time ever I heard about it)!!!. Friendly and efficient staff. Lots of tv channels and free WiFi! The view!!! 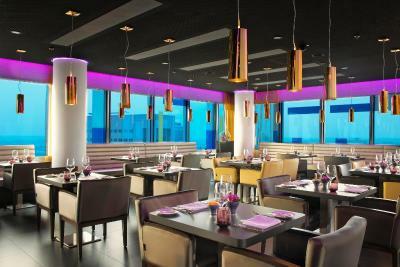 Very nice hotel and especially like the breakfast there at the top floor , where u can enjoy the view of the city ! Bread and cheese are yummy! Recommended ! Also the surroundings are quite modernized buildings! The young man on reception was lovely and we really appreciated the upgrade. 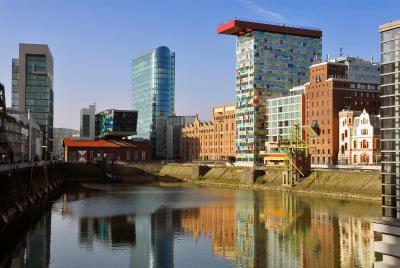 Innside by Meliá Düsseldorf Hafen This rating is a reflection of how the property compares to the industry standard when it comes to price, facilities and services available. It's based on a self-evaluation by the property. Use this rating to help choose your stay! 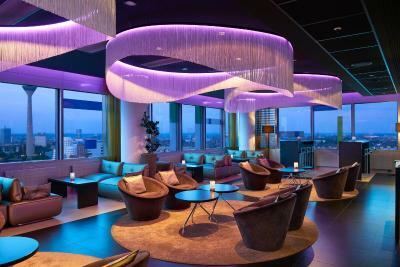 One of our top picks in Düsseldorf.Featuring restaurant and skybar THE VIEW on the 16th floor, this 4-star hotel is located directly on the banks of the River Rhine in Düsseldorf’s lively MedienHafen (Media Harbor) district. 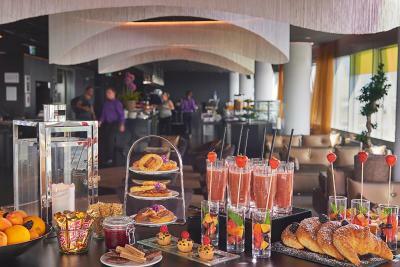 A breakfast buffet is provided. 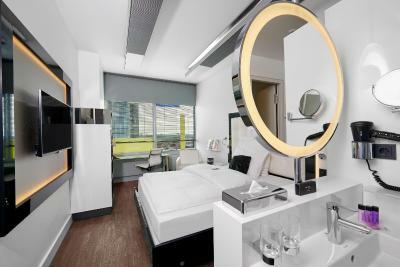 Each of the modern and bright rooms at Innside by Meliá Düsseldorf Hafen is decorated in an elegant style and features a flat-screen satellite TV and mini-bar. 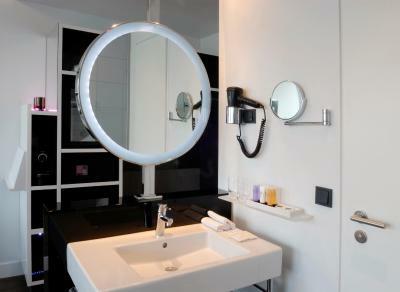 All private bathrooms include a rain shower and hairdryer. 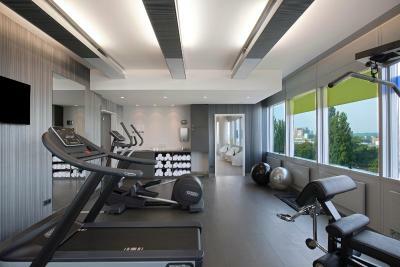 Innside by Meliá Düsseldorf Hafen includes both gym facilities and a sauna, which can be used by guests. 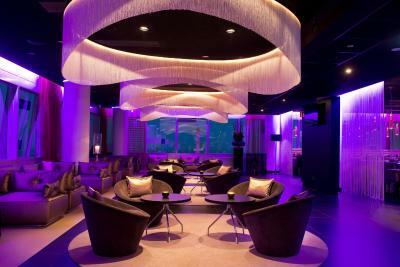 Offering a 24-hour reception, the hotel is just a 20-minute stroll from the lively bars of the city center. 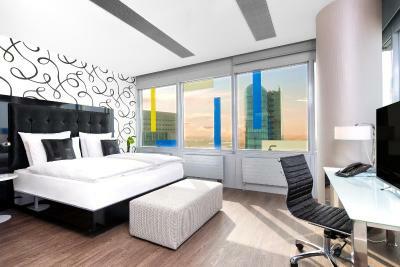 The hotel is based 1.9 mi away from Düsseldorf Opera House and a 15-minute drive from the city’s Messe Exhibition Grounds. 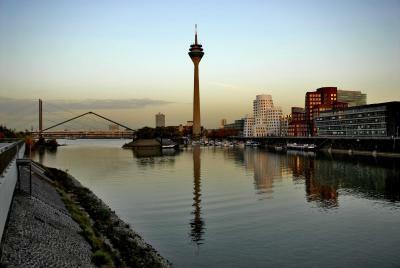 Just a 4-minute walk away is the famous Düsseldorf TV Tower. 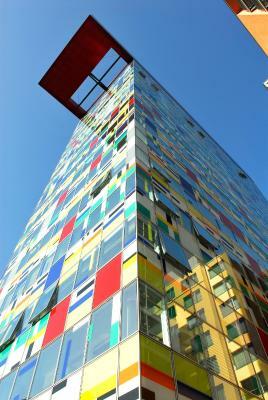 Providing connections to the center, Franziusstraße Tram Station is 1,000 feet from the hotel, and Düsseldorf Train Station is accessible by train from Düsseldorf-Hamm S-Bahn Station (0.6 mi). 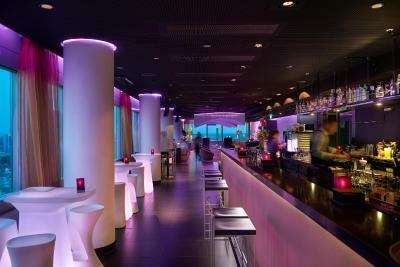 Hafen is a great choice for travelers interested in clothes shopping, luxury brand shopping and bars. 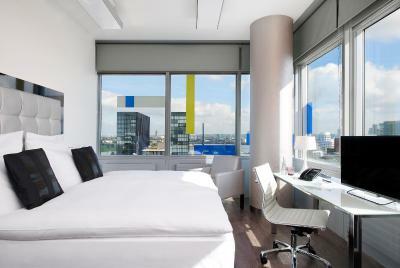 When would you like to stay at Innside by Meliá Düsseldorf Hafen? 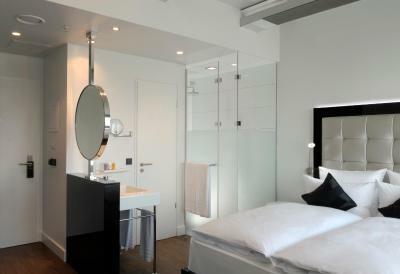 Featuring a flat-screen TV and minibar, this bright room is elegantly decorated and includes a rain shower in the bathroom. This room is extra spacious. 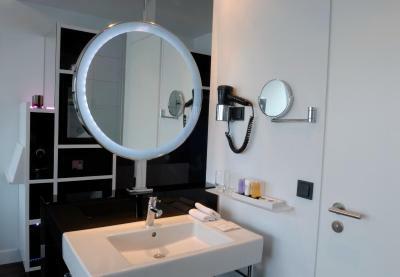 Offering a flat-screen TV and mini-bar, this bright suite is elegantly decorated and features a rain shower in the bathroom. One single extra bed is possible in this room. 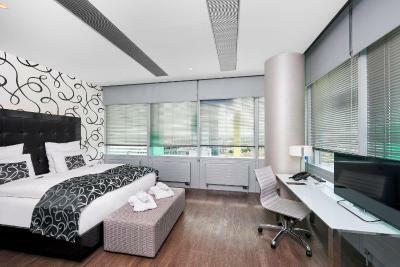 This double room features soundproofing, bathrobe and mini-bar. 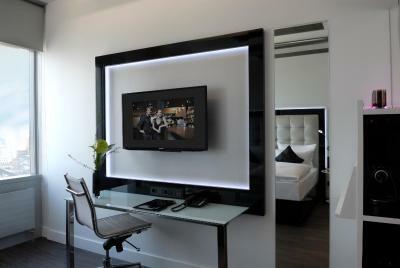 This suite has a flat-screen TV, soundproofing and air conditioning. 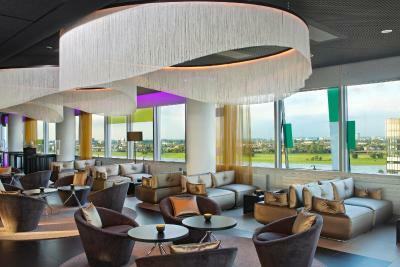 The Innside Düsseldorf Hafen is a place to feel comfortable. This hotel has a special relationship with the light. The day starts with a breathtaking sunrise and all rooms are light-flooded. 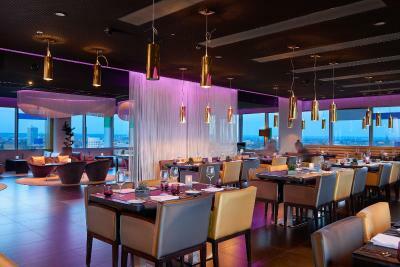 Imagine the wonderful view from the 16th floor during your breakfast. The sunset is a special experience as well and in the evening you can enjoy your time with an extraordinary light concept. Hotel surroundings – This neighborhood is a great choice for travelers interested in clothes shopping, luxury brand shopping and bars – Check location Great location - show map Guests loved walking around the neighborhood! 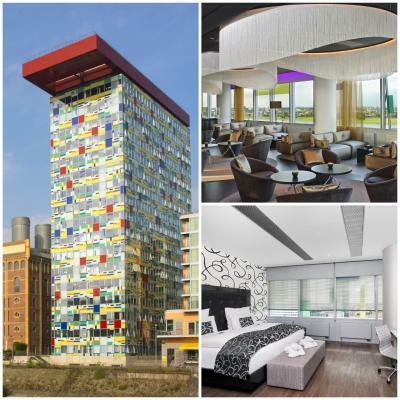 House Rules Innside by Meliá Düsseldorf Hafen takes special requests – add in the next step! 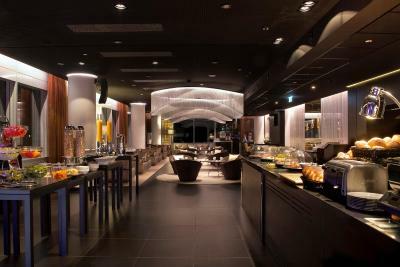 Innside by Meliá Düsseldorf Hafen accepts these cards and reserves the right to temporarily hold an amount prior to arrival. Private parking is available in the underground car park. The public car park is not roofed. 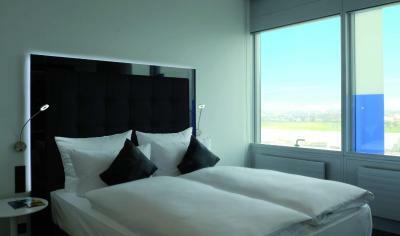 This motel is away from the main centre but l chose it for the skybar and the view. It turned out to be salsa night in the bar and the music was so loud we could hear it in our room. So loud it was impossible to be in the skybar. 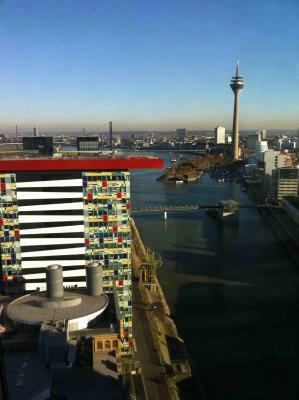 Fortunately the room we were upgraded to had a view but not what l had hoped for in our only night in Dusseldorf. The bed is too light and moves too easily. Sounds proofing was rather poor. Very friendly staff. Great location. Beautiful view from the bar in the top floor. 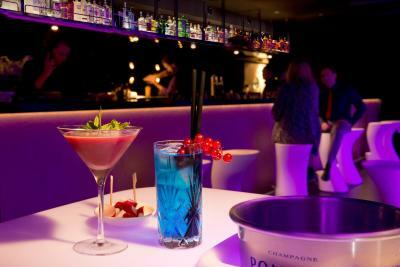 Great location, drinks from mini bar already included in the price. 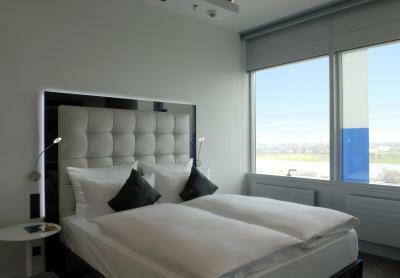 Comfortable bed and nice views. Synthetic bedding and plastic beds create a huge amount of static; not really much you can do about that. I had to sleep on the floor for the first night - ha ha ha. It was OK the second night, so I guess the problem was me and my trainers and travelling. 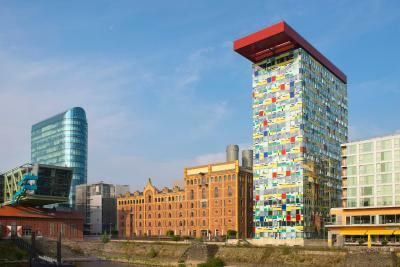 Great place, the view will soon be obscured by a new building going up opposite the hotel, so get there quick!! 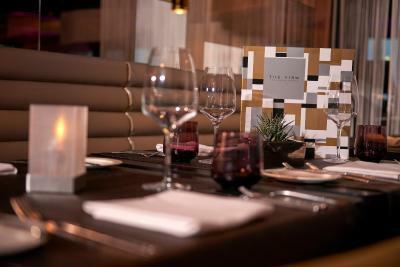 The staff are very helpful and understanding. 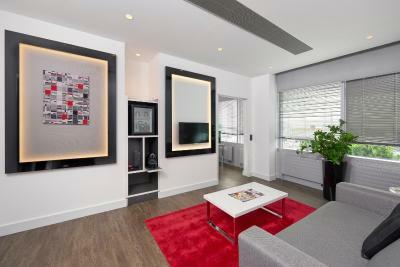 Fantastic location with easy access to the old town. Unfortunately the tv had a signal issue as I took the time to relax before going out. But this wouldn’t stop me visiting again!! I loved the welcome, we were checked in by the most friendliest host! Who took the time to freely chat with us as well as telling us what we needed to know about the hotel. On site parking was full. Beds were way way way too hot. 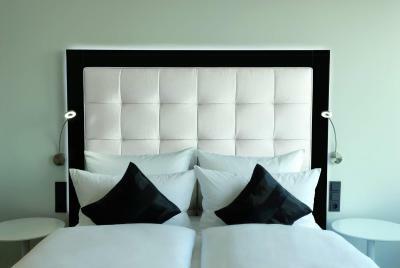 The down comforter is suitable for freezing temperatures, and not for a hotel room which is about 20°C. In addition there is a plastic layer under the sheet which prevents your body heat from difusing through the mattress making it even hotter. This resulted in a very poor nights sleep. The pillows were worn out.The personel was totally missing so when you call anybody from the room there was never an answer.The room Was a converted office.İt looked more like a labratory than a room.Bed was uncomfortable and cheap all for 400 Euros a night even if it is trade fair time.Room cleaning knocks door at 8 30 in the morning,told him to come after 30 minutes when İ leave the room.İn the evening when İ came back i found he never came back as room was undone same as left.